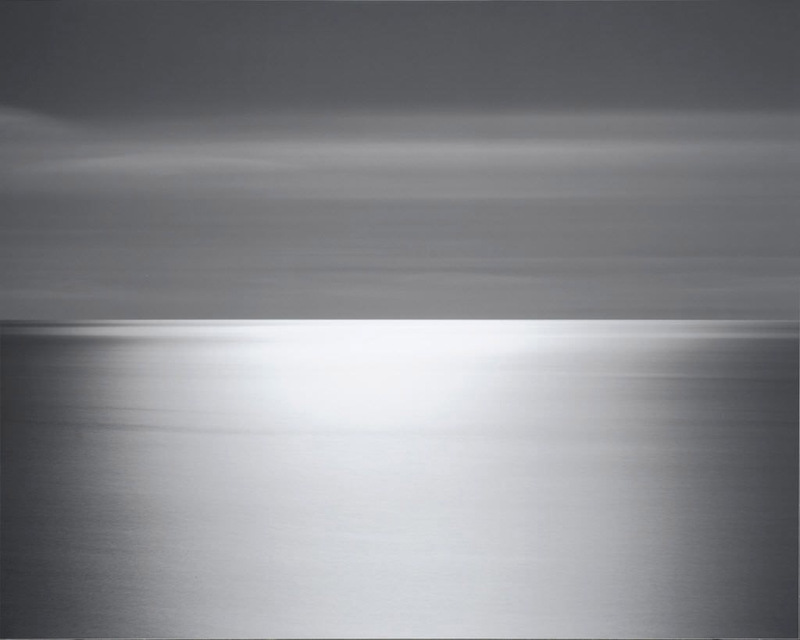 Sugimoto’s answer is the ocean, over and over. 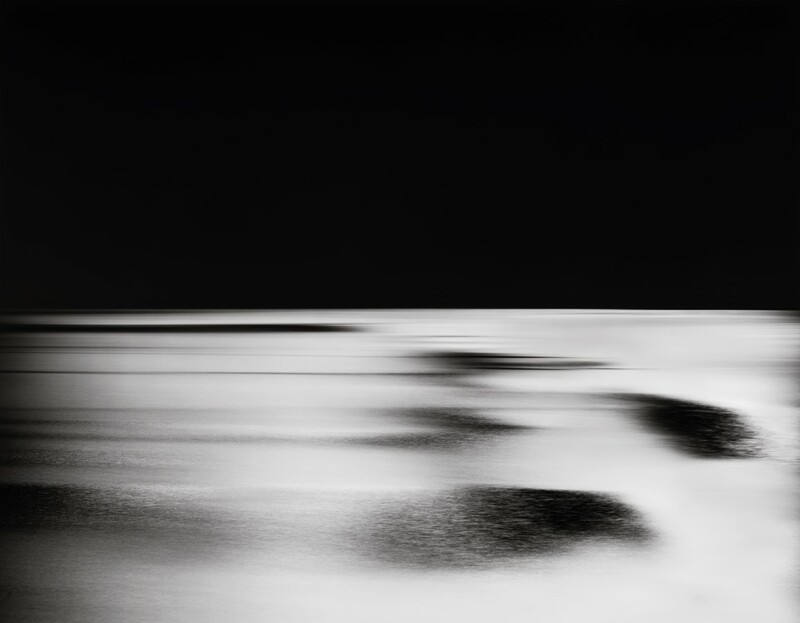 His Large-format camera coupled, often, with long exposure times creates smooth, time-worn images where the ocean surface doesn’t have ripples so much as permanent creases. 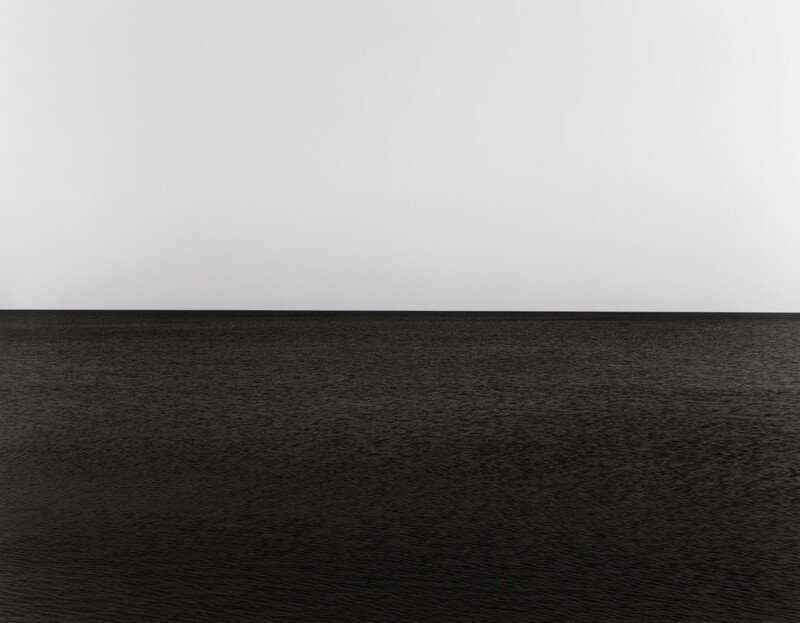 The photographs engage with repetition on two levels, through representation of the ocean as a rhythmic entity of waves, tides and seasonal changes and also in the repetitive nature of Sugitmoto’s project, image after image of the same black and white composition, the sky above and the ocean below, the horizon splitting perfectly across the exact middle of the composition. 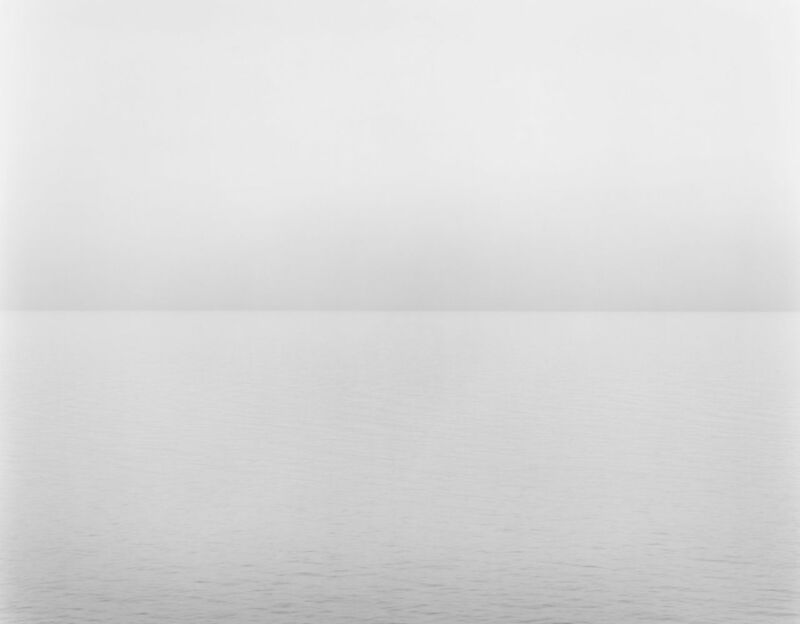 Often, a soft, opaque mist overtakes the frame and connects the ocean to the air as it was in the beginning of the Babylionian creation myths invoked by Munesuka Mita in his introductory essay. A sociologist Munesuke Mita makes Seascapes the rare art book that asks its reader to understand a differential equation, in this case one describing a the pattern population increase and equilibrium of a well-adapted species in a new environment. Mita’s essay situates Sugimoto’s work in the plateau of stable of population increase that follows the population explosion of the modern period and the modernist movement, which, using population statistics, he pins as ending around 1970. 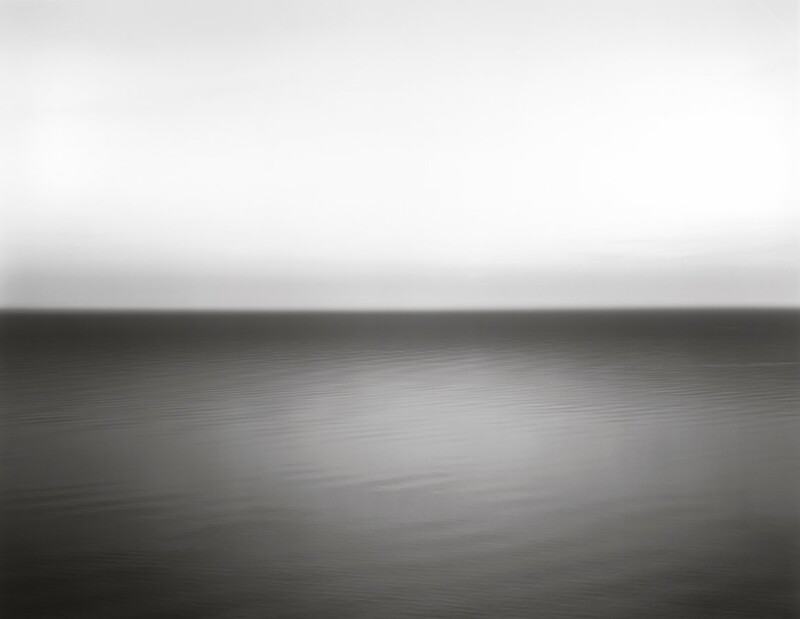 Seascapes is art for the plateau, a group of images that measure time not by growth but in repetition. Whereas the historical consciousness of modernity and capitalism, linked to a teleological Christian eschatology, insist on the unfurling of time as ineluctable from either growth and progress and the kingdom of heaven or catastrophic decline and the end of days Seascapes, as it draws from pre-modern and non-western sources, allows the procession of time as something other than narrative dominated by an ending. But all of this brushes aside the more damning question raised by Sugimoto himself, if it isn’t after all impossible to see from a historically determined vantage point that is not one’s own, to now look at the same ocean as an ancient human and truly see the home of sea-monsters. None of this, though, necessarily detracts from the images or the project. 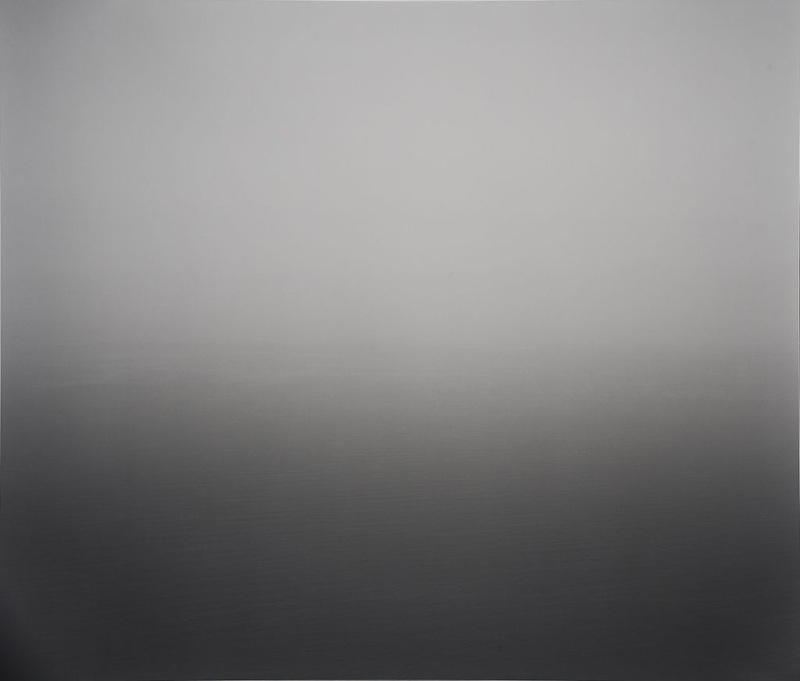 Any artistic endeavor reliant on a statement of intent is already a half-failure, but Sugimoto’s images are strong enough to survive their own explanation. 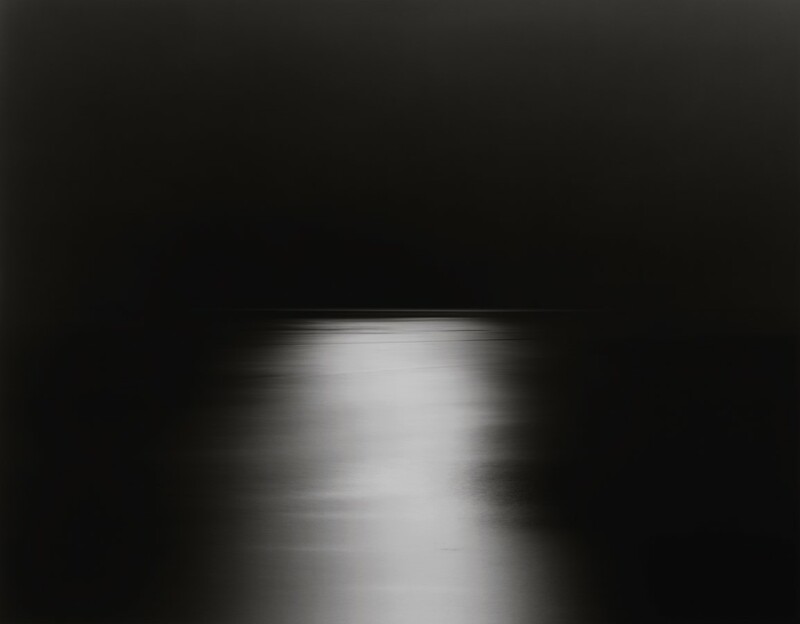 Posted in Highlights, Reviews and tagged Book Review, Damiani, Hiroshi Sugimoto, Landscape, Large Format, Munesuke Mita, Ocean, Owen Campbell.